Residents on Tuesday complained about a shortage of doctors and medical practitioners at government hospitals and overall poor health services in western Ghor province. Four patients, sharing a single bed, were treated by doctors at the main hospital, residents said, adding it had been a normal practice for years. The building of Ghor Civil Hospital was constructed some 50 years ago. The sole hospital has been under patients’ pressure from Badghis, Faryab and Daikundi provinces. Most of visitors said the hospital had 70 beds, but over 100 people, mostly women and children, were hospitalised simultaneously. She told Pajhwok Afghan News 20-25 patients were kept in a congested room. She said there was no facility for visitors and hospital officials provided patients no medicine. She said patients had to buy medicine from the market. 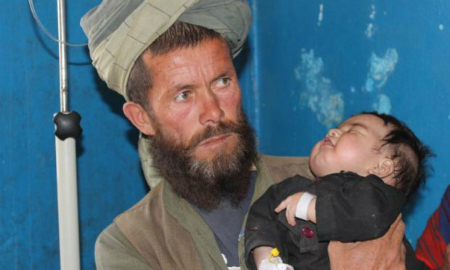 Pari Gul, a resident of Shahrak district, said she hospitalized her grandchild. She complained against poor health facilities in Shahrak. She was disappointed after observing problems in the civil hospital. Pari Gul said lack of beds was a major issue which needed to be addressed on emergency basis. Gul Ahmad, a resident of Pasaband district, said he was discharged from the hospital after three days of treatment. He said he was still feeling unwell. He complained that a large number of people were being treated by small number of doctors in overcrowded situation. He demanded the government should provide the hospitals with state-of-the-art facilities otherwise diseases would spread instead even inside the hospital. Mohammad Zarif, a dweller of Ferozkoh, said: “My son had diarrhea but the hospital had no space to admit him. I was forced to take him to a private clinic.” Though expenses are high at private clinics, they offer better medical facilities, he noted. Juma Gul Yaqubi, director of Ghor Civil Hospital, said the hospital had a single building with 70 patients’ admission capacity while the strength of patients outnumbered manifold. In addition of shortage of professional doctors, the absence of medical equipments was yet another problem in government-run hospitals, he remarked. The civil hospital has 173 staff but only nine of 24 doctors and five of 11 lower ranking medical employees perform their duties. Only nine, of 15 technicians attend their duties. Yaqubi said that 60 percent of the hospital seats were lying vacant and the current staff could not care about the patients. Lack of services in orthopedic, ear, throat and eye wards irked masses while the hospital was facing acute water shortage issue. The provincial health officials said a new building with the capacity of 100 beds had recently been added to the hospital in order to resolve the shortage of beds. The director of the hospital said the three-storey building was constructed on modern standard and Japan provided $7 million for the project. Dr. Yaqoob said generators, producing electricity, consumed 2,500 litres of oil in 24 hours. The overall cost in winter would be $400,000 that was not affordable for them. Heating equipment, he said, involved expenses. Provincial council head Fazel Haq Ehsan welcomed the construction of the new building and urged the government to provide its fuel cost and other expenditure. Unless the challenges facing the hospital were met, the building alone would be of no use. Dr. Ghulam Nabi said they had talked to Public Health Ministry officials about the issue. The ministry had promised allocating 25 million afs, but nothing has been delivered so far, he regretted. According to Nabi, the ministry was ready to pay more to the doctors who wanted to work at Ghor hospitals. “We hope the new minister will pay more attention to Ghor since we are more deserving than other provinces. “We have nine roads in the province with no electricity and a weak economy.” Ghor is a western province with higher mother and child mortality rates, as compared with other regions. On a given day, only 5,400 students attend out of the 8,000 enrolled. Still, they are crammed in: three to a desk, 40 to a class, 10 textbooks per class.